I am excited share two new books from Amish author, Linda Byler in her new series - Sadie's Montana! 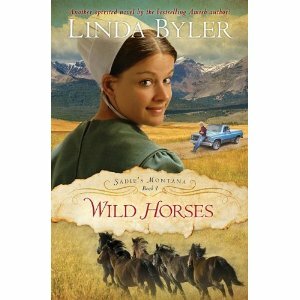 Linda Byler is a best-selling Amish author and has now released two new books, Wild Horses and Keeping Secrets. They are the first two books in a series called Sadie’s Montana. Linda Byler grew up Amish and is an active member of the Amish church today. Along with her best-selling books, Linda is also well known within the Amish community as a columnist for a weekly Amish newspaper. In Wild Horses, the Miller family has moved from Ohio to Montana... Their move was, for the most part, uneventful, but now Sadie’s world is falling apart. How can she choose which man to marry without motherly advice? And why does Mam refuse to seek professional help for her cluttered thoughts? Sadie finds friendship in a sick horse, but what happens when phantom-like wild horses appear on the horizon? In Keeping Secrets, which just released this month, there’s horse trouble in Montana again. Horses are being shot. No hard-working ranch horse or Amish horse and buggy is safe. Still Sadie rides, despite warnings. And Sadie ignores the warnings to steer clear of Mark who is finding it hard to tell Sadie the secrets of his past. Why are there so many secrets? Will the snipers be found? Will the truth surface, or is it too hard to bear? I have had the privilege to read and review another series by Linda Byler - the Lizzie Searches for Love series books Running Around (and Such) and When Strawberries Bloom. I was excited to read this new series from Linda Byler because she gives such a realistic look at Amish life...since she is Amish herself! These books give such an amazing look at how the Amish cherish their families and values and you can really learn a lot from how they live their lives! The books for me are a little slow moving. Sometimes, the author jumps around and confuses me a little in the plot. The books and plot could be just a little more exciting to keep my interest better. But overall, I still want to finish every book to see how they end and I love that I got to read two books in the series because I hate when the first book ends in a cliffhanger! 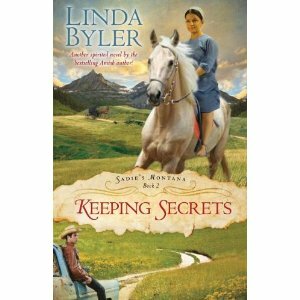 If you are looking to learn more about Amish life or their amazing values and family life, make sure to check out these books in the new series Sadie's Montana from Linda Byler.